This used to be a mainstay in my Notes client toolbar, and for some reason I forgot all about it, until someone was nice enough to remind me yesterday. I am sure this is documented elsewhere, but leaving it here as a reminder to myself. Can Fix Packs be installed over Upgrade Packs? 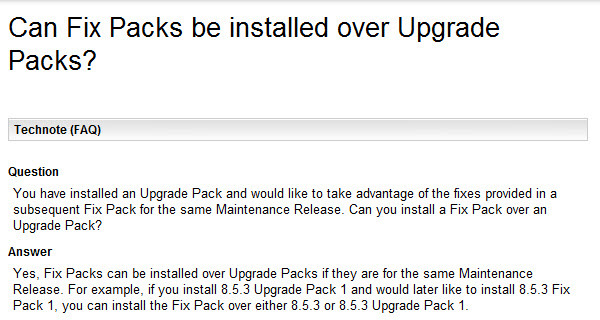 Technote 1590268: Can Fix Packs be installed over Upgrade Packs? 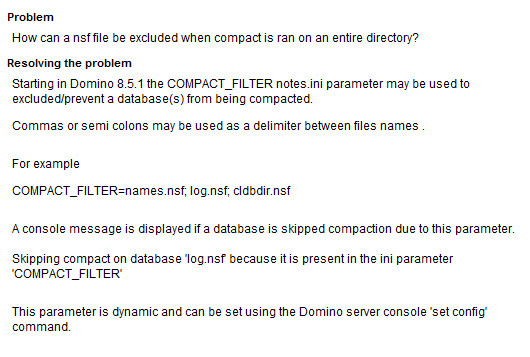 This one is new in Domino 8.5.1 and later, but I just came across it the other day. If you have ever opened a PMR for a Domino server crash or hang you are familiar with the debug_threadID notes.ini parameter. 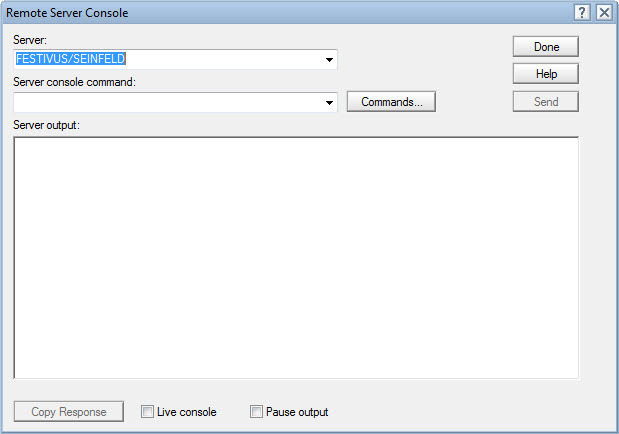 For a while now I have enabled this by default on all of my Domino servers, the only real downside is a slightly busier server console, and more information in the console.log. The upside is more information available to support when it’s needed. 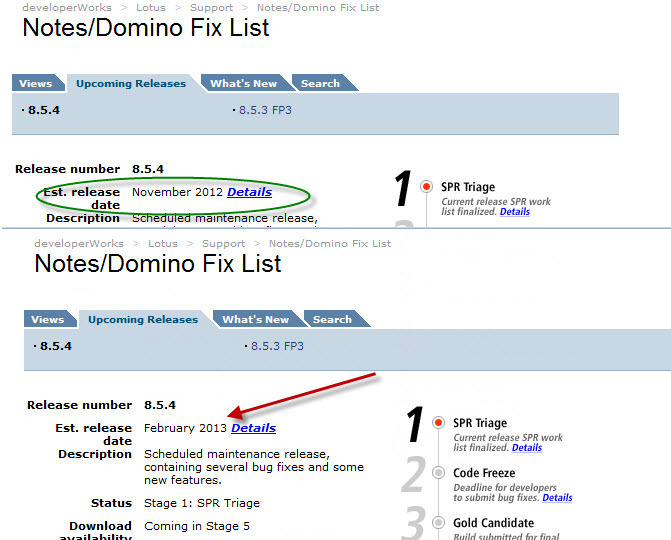 In Domino 8.5.3 debug_threadID is now enabled by default, you can still choose to disable it, but I would recommend leaving it enabled.